Lossiemouth residents face a month of late-night noise as the town’s RAF top guns embark on a programme of night-flying training. Typhoon and Tornado jets from the Moray airbase will conduct a series of drills from Monday until the end of September. The training sessions, which are designed to prepare pilots for future deployments on overseas missions, are expected to go on as late as 11.30pm. 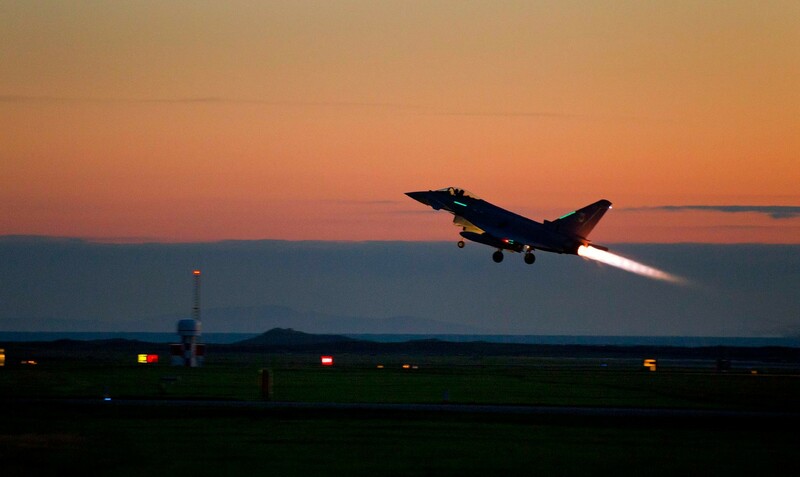 Chairman of Lossiemouth Community Council, Mike Mulholland, said: “I have noticed the jets becoming louder as of late, and if that’s going to continue until 11.30pm at night it could be a bit obtrusive. “But we just accept that as a part of living in a town with an RAF base. Ground and air crews from the base are required to train in all environments to ensure they are ready to be sent abroad at short notice. RAF Lossiemouth’s station commander, Mark Chappell, stressed how vital the training was in preparing pilots for global combat. Mr Chappell, who is also the squadron’s group captain, said: “As well as being the provider of the quick reaction alert protection of UK skies, RAF Lossiemouth is required to train our front line personnel for operations globally. The training operations are planned to end on Friday, September 25. RAF Lossiemouth pilots are currently in Estonia, where they work to ensure Russian aircraft are kept from Baltic airspace. Typhoon crews have been battling to keep the skies above the Eastern European nation free from invading forces since April. Last month they drove 10 Russian jets from the area in one operation.